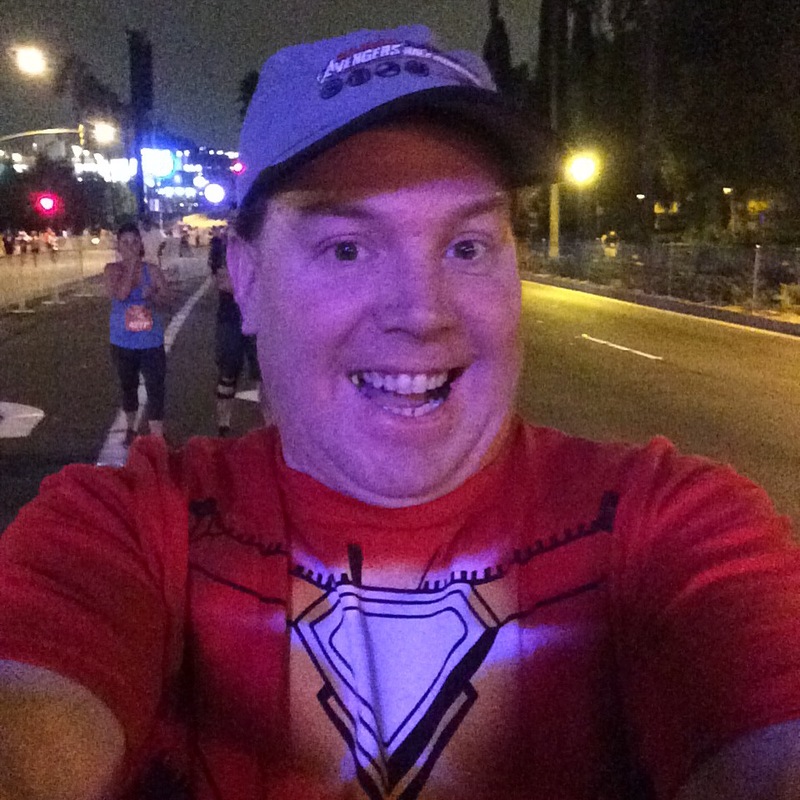 So, one week ago, I had the pleasure of running in the Disneyland 5K for the very first time. The plan going into the weekend was to have fun with this race. Then, race the 10K the next day. I was up at the awful hour of 2:30am. Since I live close enough to drive to the races at Disneyland, it’s become what I do. I leave my place around 3:30am and arrive with plenty of time to spare. I arrived at the Mickey and Friends Parking Structure around 4:15am, got my stuff ready and headed out to the corrals. It was kind of cool to think that I only had to run 3.1 miles on this day! As I waited in my corral (Corral C), race MC Carissa came by. She interviewed a few people as part of the pre-race entertainment. Several of us had talked about how much we were missing Rudy Nvotony as race MC. He and Carissa were a great team. 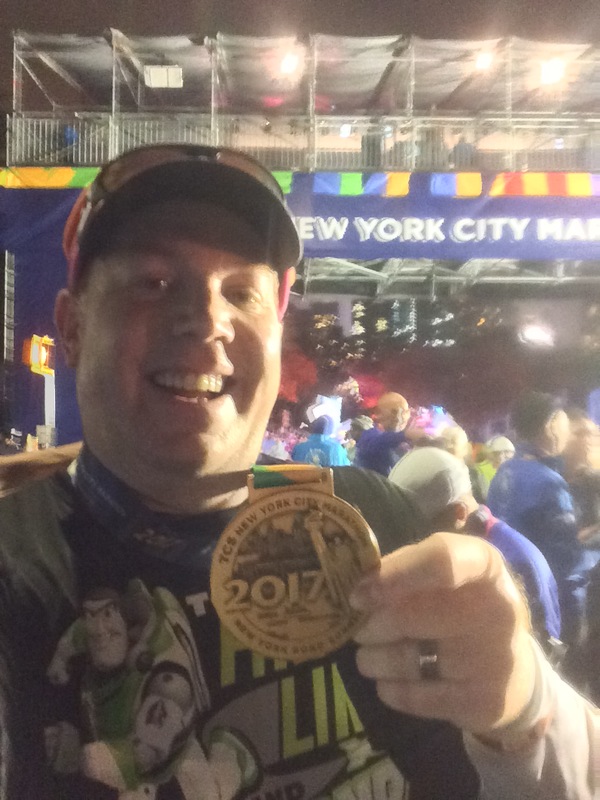 I’m seriously hoping that runDisney fixes this mistake of theirs in 2017. In between interview segments, I got to chat with Carissa a little. I asked her how it was to have her daughter do the diaper dash (which her daughter had done twice!). I told her about my boy, Colton, and how he would be running his first runDisney race at the Star Wars Light Side Half Marathon Weekend. Of course, this was followed by showing off pics of the boy. I had fun in the corrals chatting with those around me. 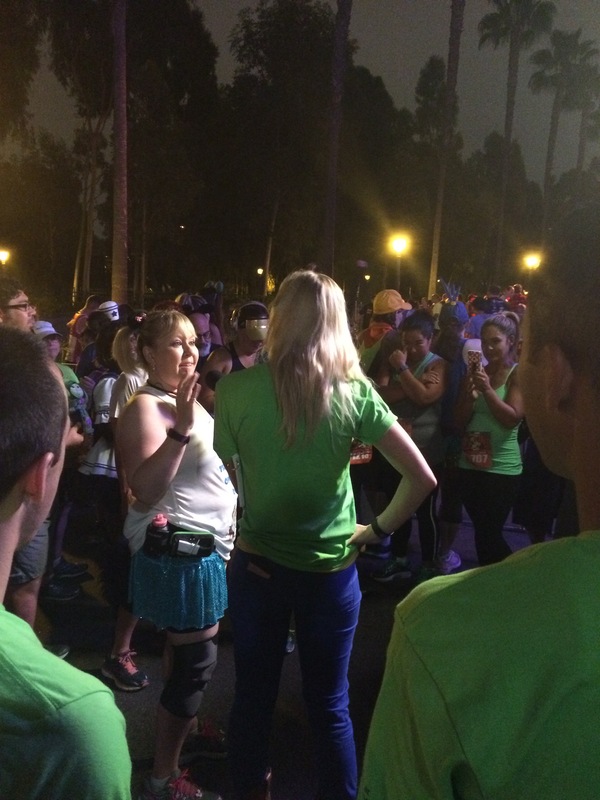 Two ladies were running their very first race ever at the Disneyland 5K! 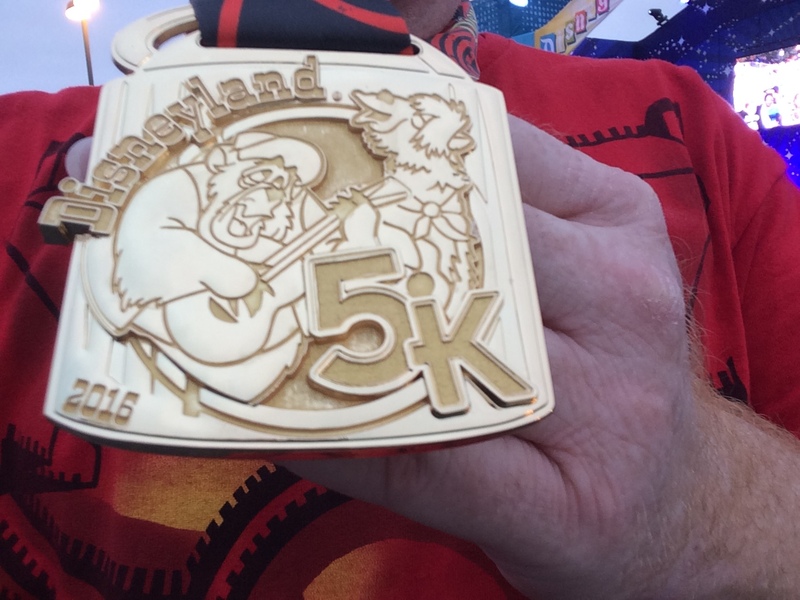 It was kind of cool to chat with people who were nervous about the 5K distance. It brought back a lot of memories. I had almost forgotten what it is like to be intimidated by this distance. It seems like a very short distance to me now. 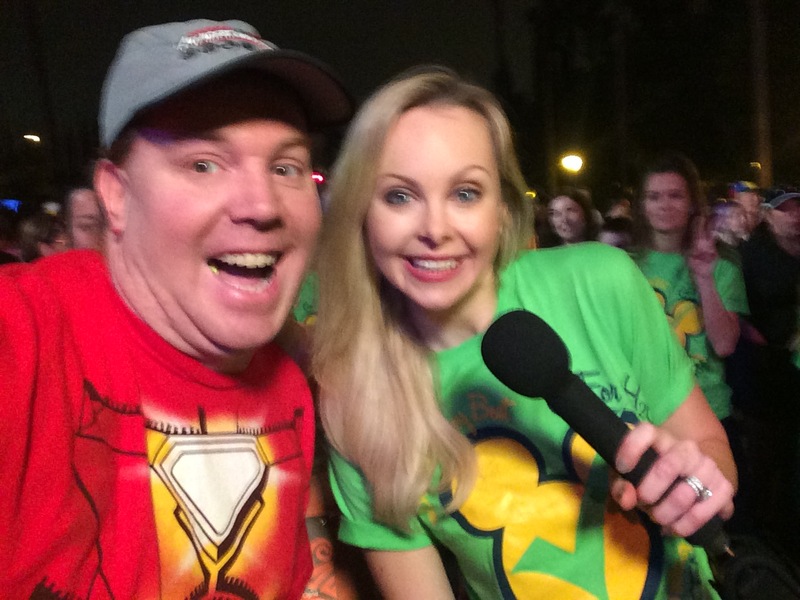 But, back in 2012, I was just as nervous when I lined up to run the Neverland 5K. Corral C had quite a lot of peeps in it! I’m not too sure who the new female race MC was. She was alright. Not great. Not horrible. What can I say? It wasn’t the same without Rudy to send us off. 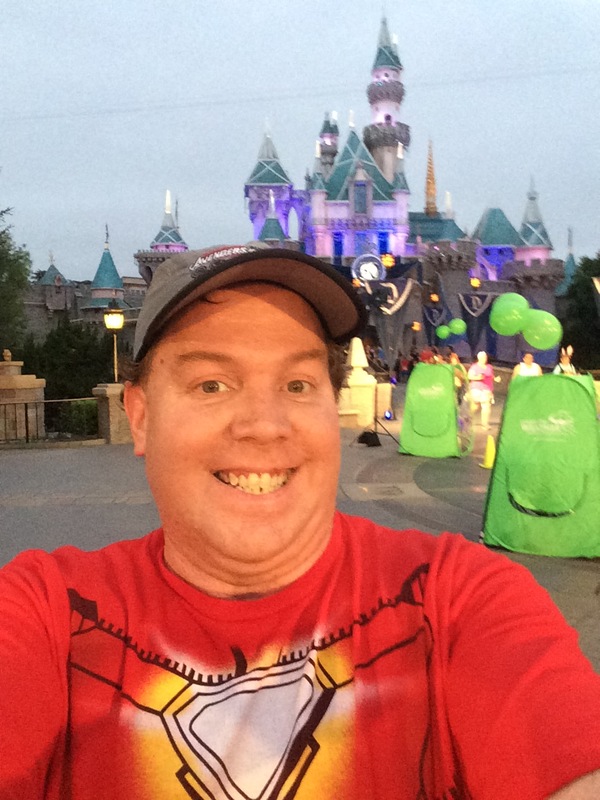 Before I knew it, we were off for 3.1 magical miles through Disneyland and DCA! 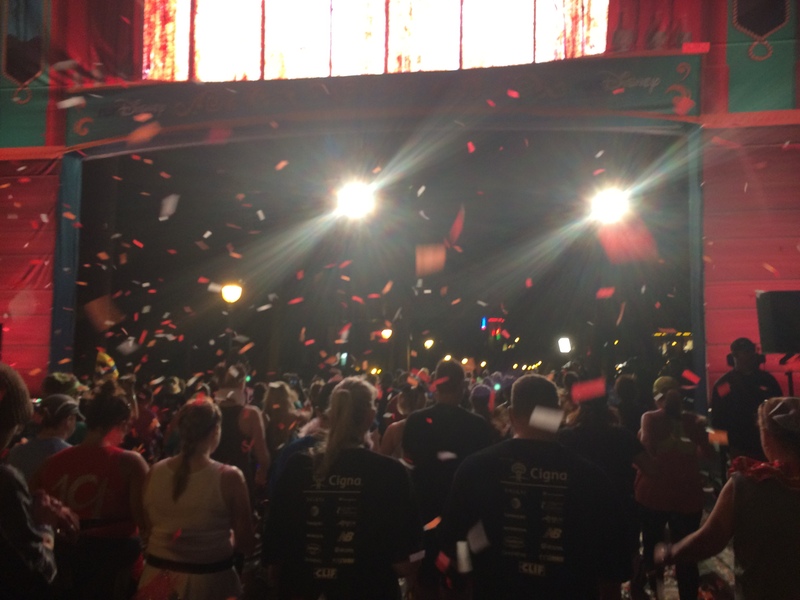 As I started the race, it wasn’t too long before I found myself in front of a lot of people. 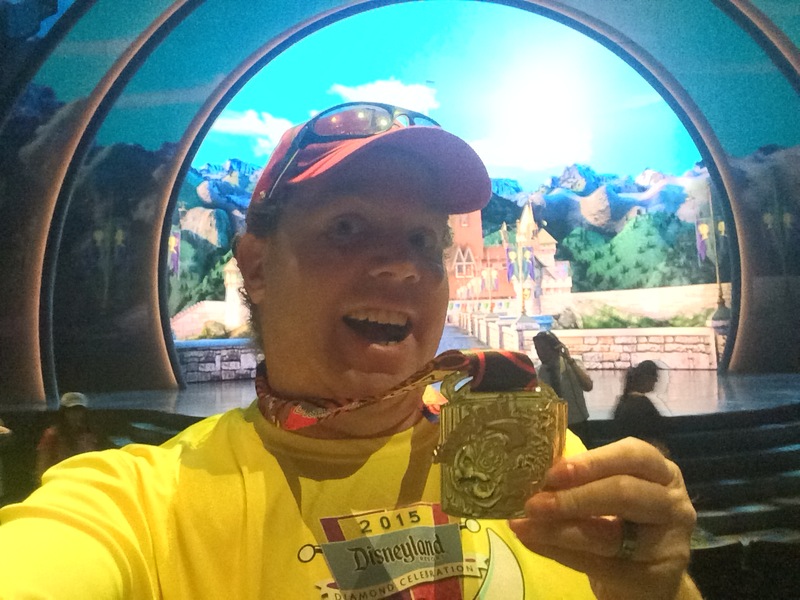 I decided to run all the way until we would turn into the backstage area of DCA. With course crowding, it seemed like a pretty good idea. I was kind of surprised that I managed to get ahead of so many others. It was weird. 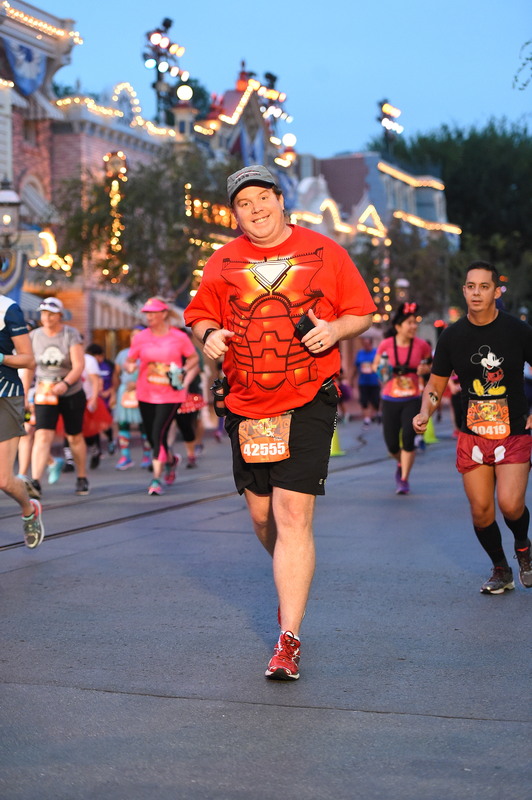 By the time we turned into backstage DCA, I reminded myself that I was not trying to run this race for a great finish time. So, it was time to back off the pace. 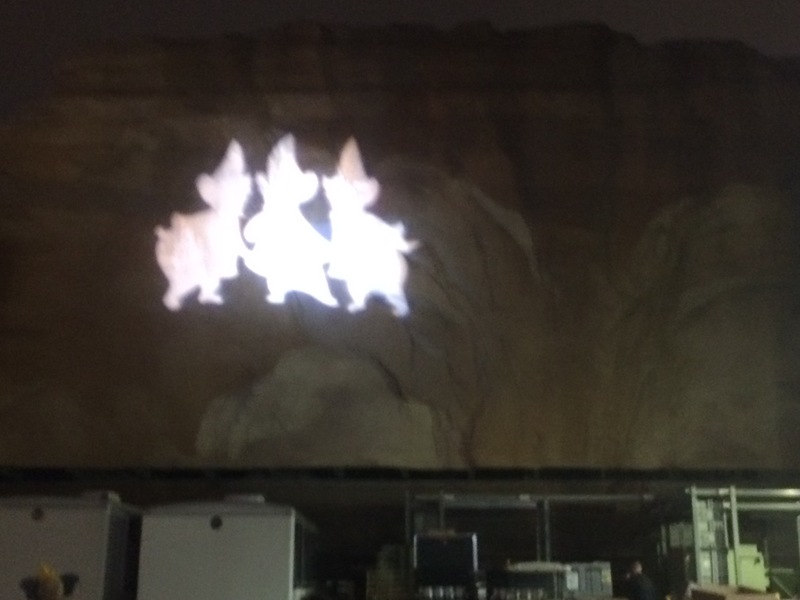 As we turned to make our way onstage, I saw this on the back of the mountain range of Cars Land. 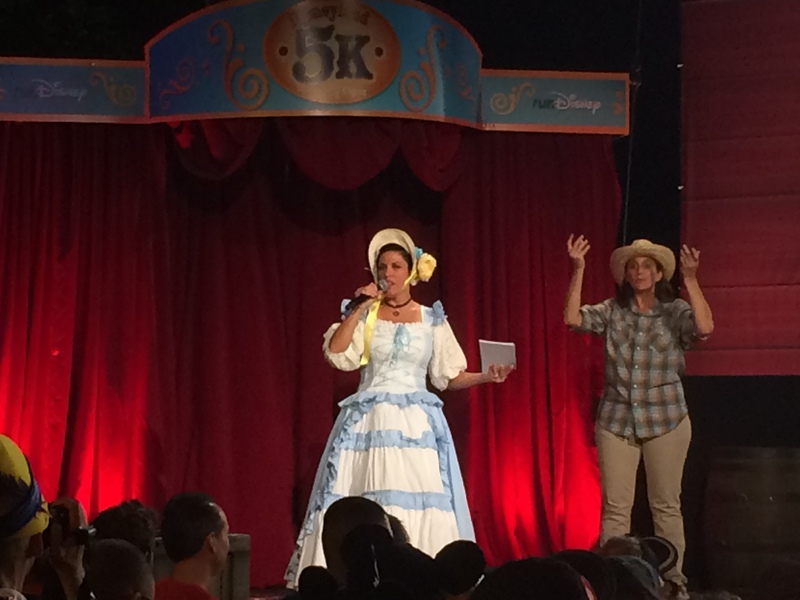 They are three female bears from the Country Bear Jamboree. We turned onstage to head into this part of Cars Land. I love the view! 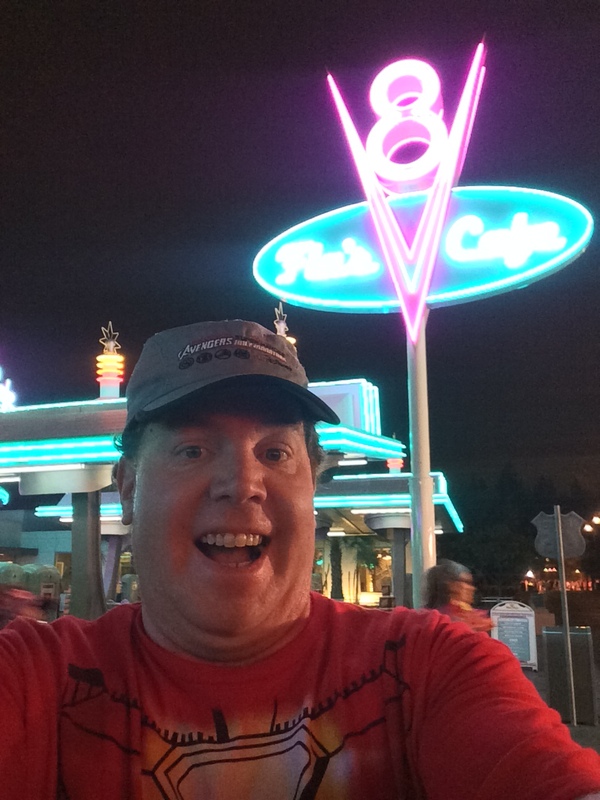 We made our way around to Flo’s V-8 Cafe. 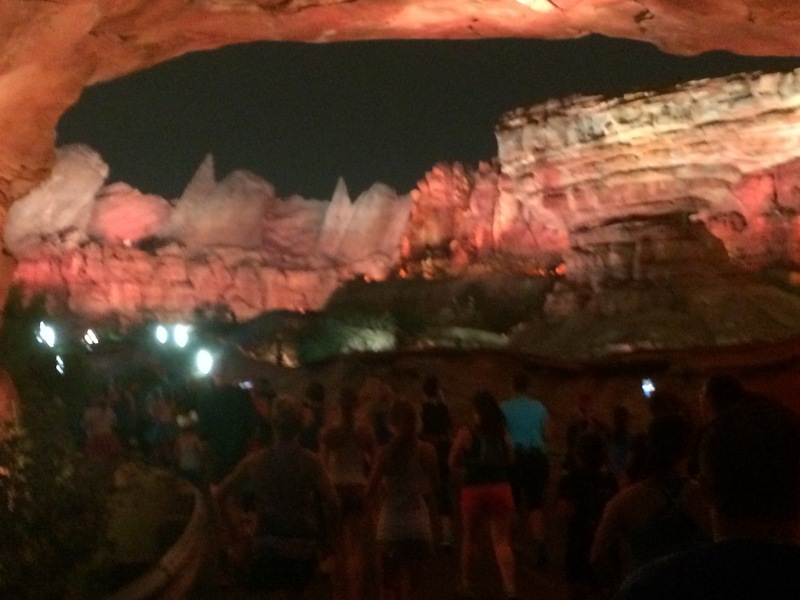 Cars Land is amazing all lit up in the dark! We didn’t get to run up Route 66 for this race. Instead we continued down the path towards It’s A Bug’s Land. 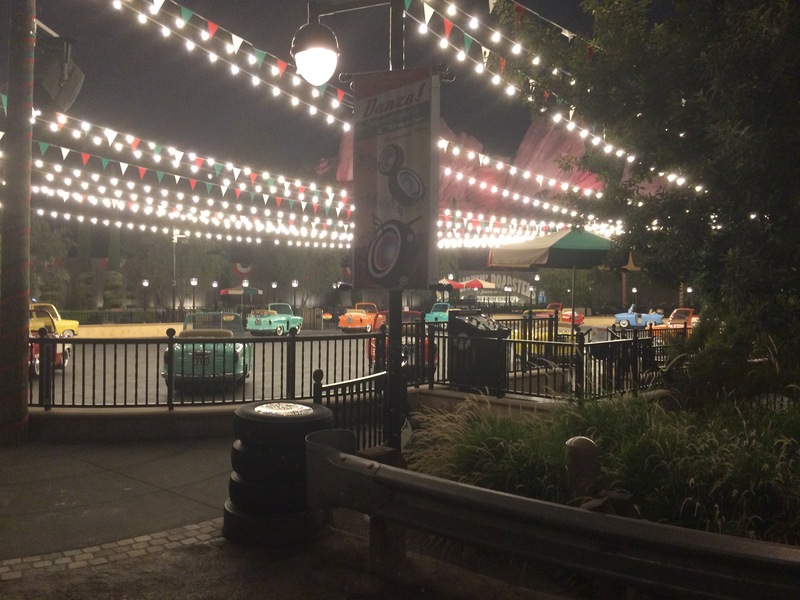 Along the way, we passed by Luigi’s Rollicking Roadsters. I didn’t take any pics as we ran through It’s Bug’s Land. As I’ve seen pics later, I kind of regret it. However, it was a little dark. So, I’m not sure how the pics would come out. I would have preferred to run up Route 66 than running up It’s A Bug’s Land. As we got to the end, we turned Left and made our way back to the Paradise Bay area. I passed by the first picture spot.. two country bears. As we ran by the Paradise Bay, I had to stop with this quick pic with the World of Color fountains. We didn’t run the pier. Instead we headed towards the Little Mermaid attraction and turned right. As we made our way through the Grizzly River area, I saw a rather small line for a pic with Kenai and Koda from Brother Bear. I couldn’t resist! Right past the pic spot was the Grizzly River Run attraction. We ran by there on our way to the Condor Flats area. The path took us by Soarin’ Over California on our way to the Carthay Circle Restaurant. It looked amazing all lit up! I had to stop by for a quick selfie with the Storyteller’s Statue. 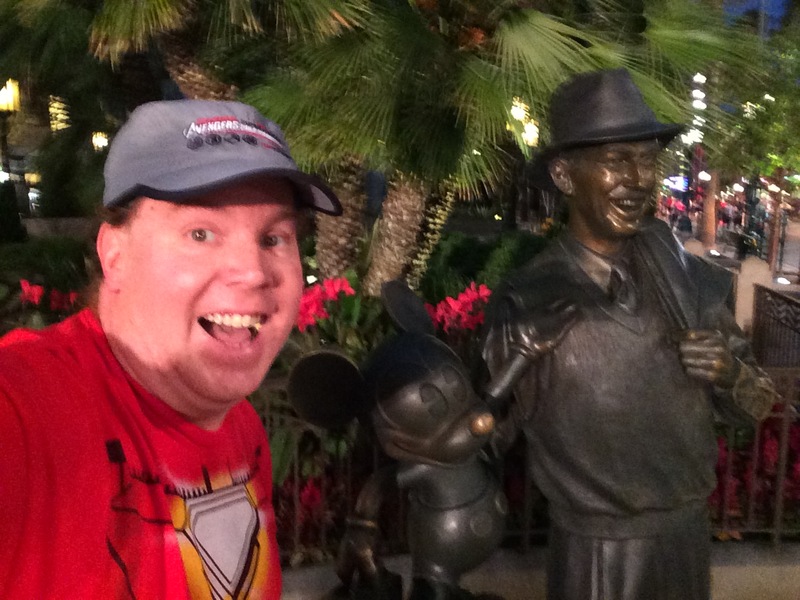 Hey Mickey and Walt! From there it was up Hollywood Land! As we passed by the Art of Animation Building, I noticed this sign. Get it? 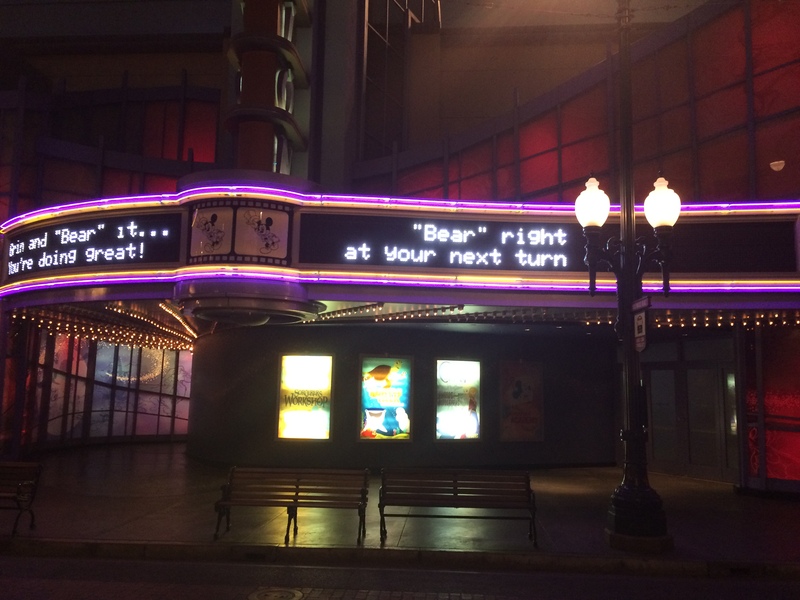 “Bear” right? 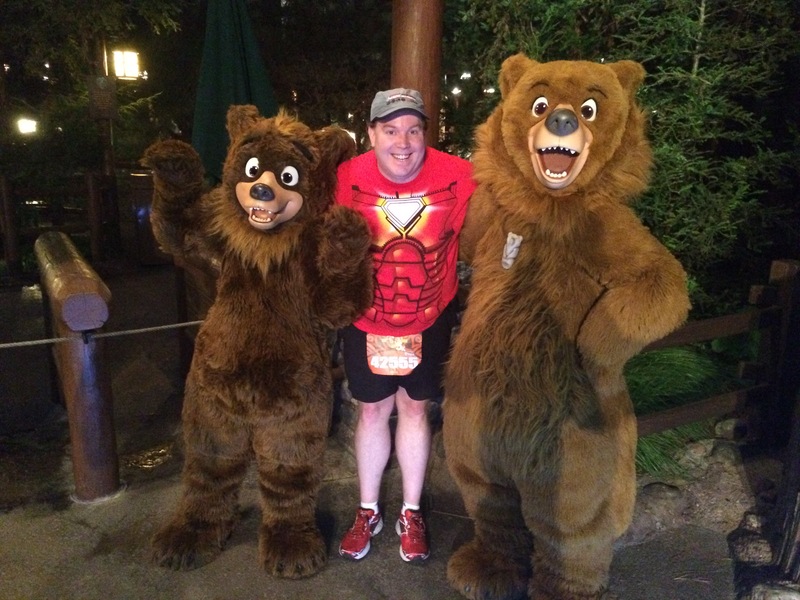 For a Country Bear Jamboree Disneyland 5K race? It was pun-tastic! 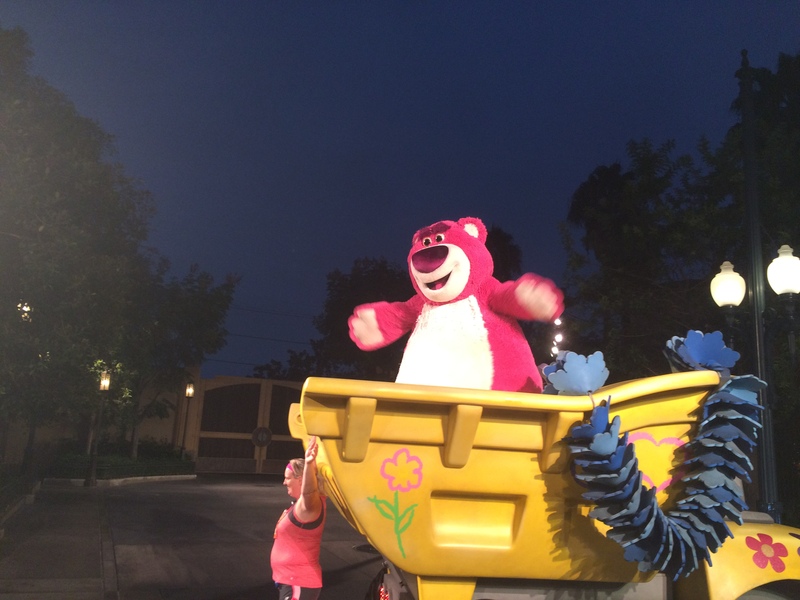 Over by the Tower of Terror, Lotso made an appearance. Rather than get in line, I opted for the selfie instead. We made our way backstage at DCA again and through the tunnel that connects backstage DCA and Disneyland. 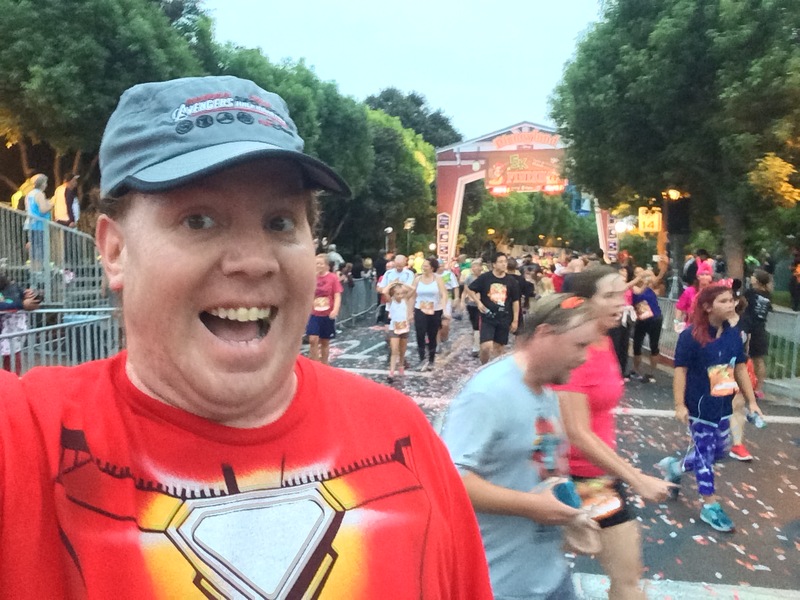 For the 5K, not only did we have this tunnel to go through (involving a downhill into the tunnel and uphill out of it), but we immediately went downhill and uphill again to get into the area behind the Captain EO theater in Disneyland. That lead to the end of mile 2. 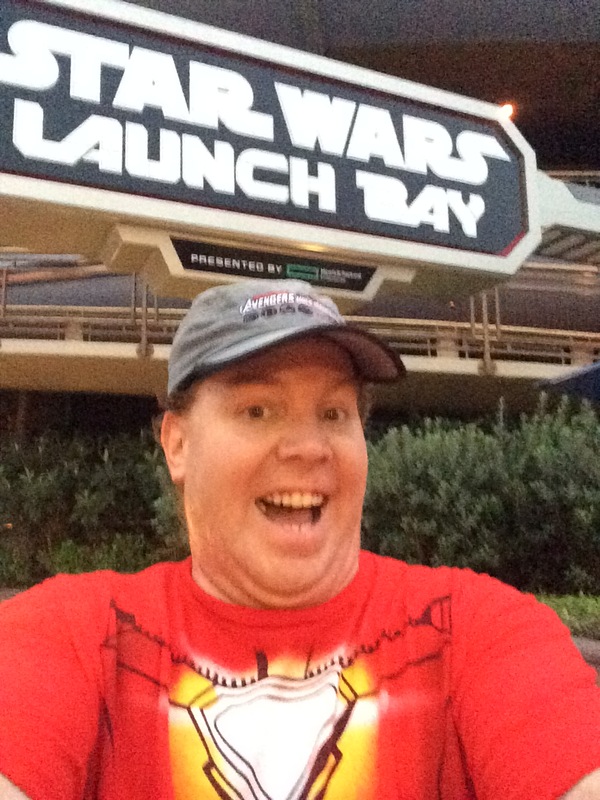 We made our way onstage at Disneyland in Tomorrowland and wrapped by the Star Wars Launch Bay! 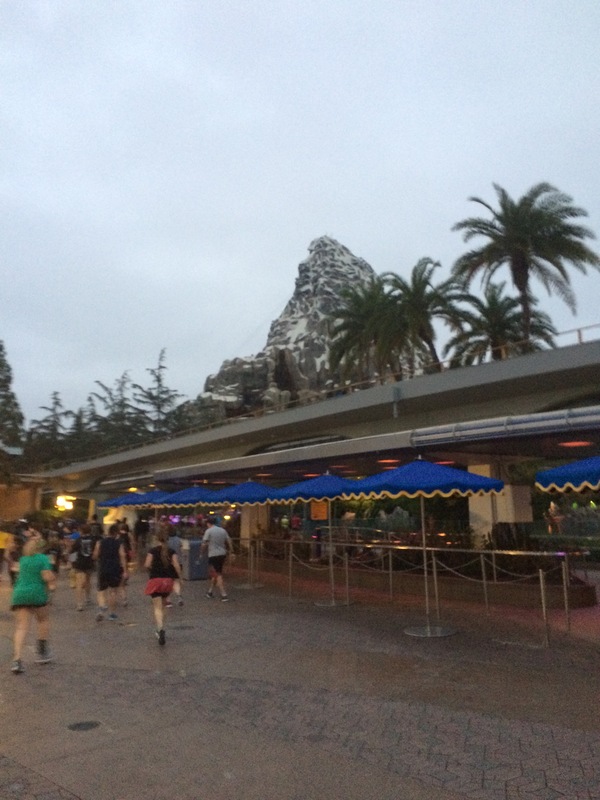 Then, we made our way past the Nemo Subs and up towards the Matterhorn. I love it when the course goes this way because the view of the Matterhorn is amazing going this way! We wrapped around the Matterhorn and headed into Fantasyland. 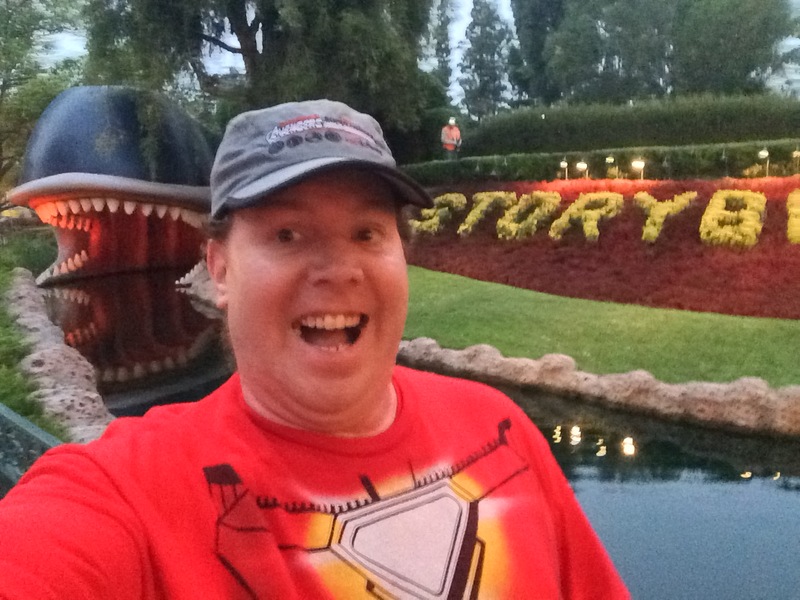 Since I’d never taken a pic with the Storybook Canal before, I decided to stop for a quick selfie. I should say that I wasn’t running any consistent intervals once we got inside the theme parks. Occasionally, I’d try to do something resembling intervals. But, it never lasted long because I was too focused on having fun! We made our way through Fantasyland and through Sleeping Beauty’s Castle. Finally! 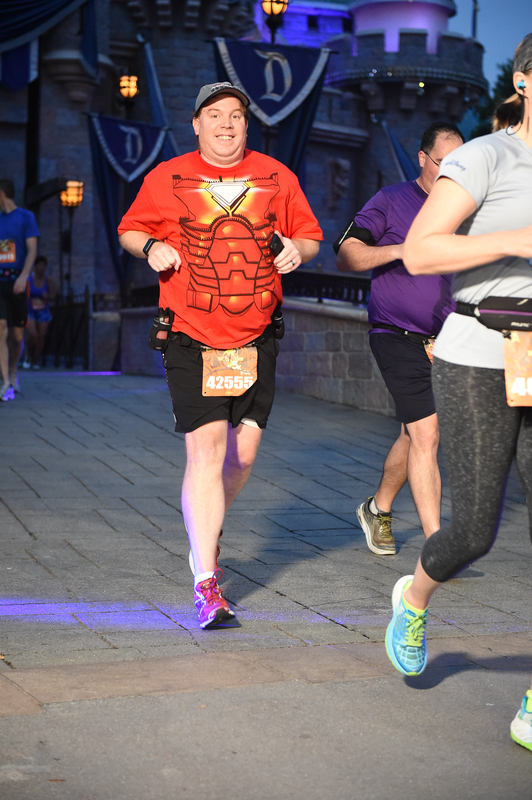 Someone caught me with a running castle picture. 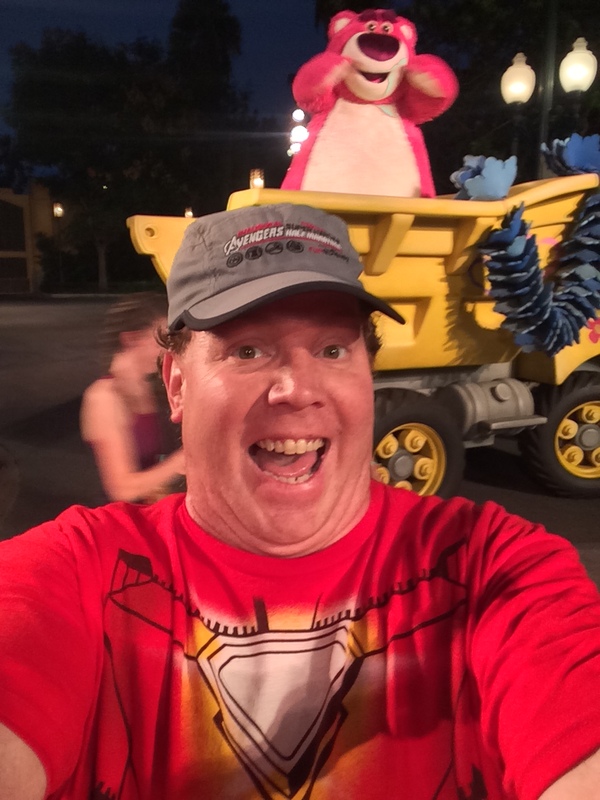 When I saw this on the PhotoPass web site, I just had to purchase this picture! 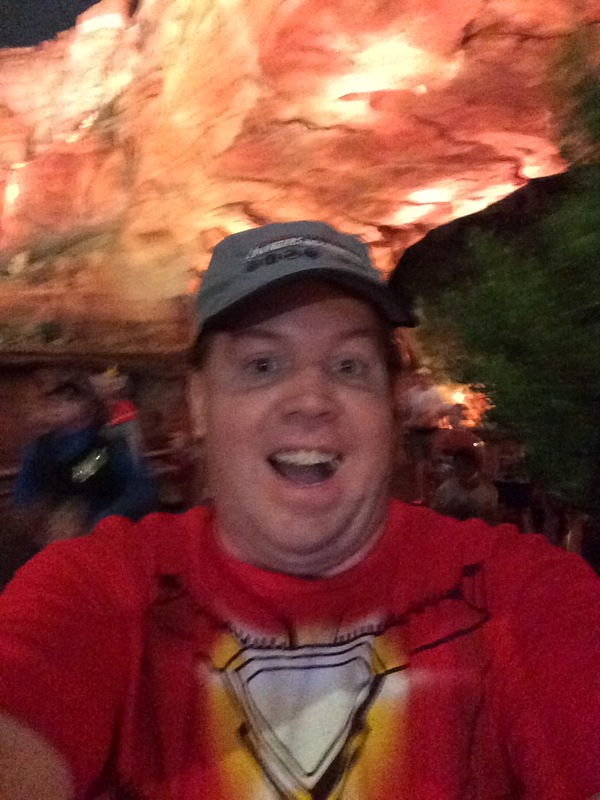 In all my runDisney races at Disneyland, I had yet to see a pic of me running through the castle. So, I had to take my typical selfie on the other side of the castle. 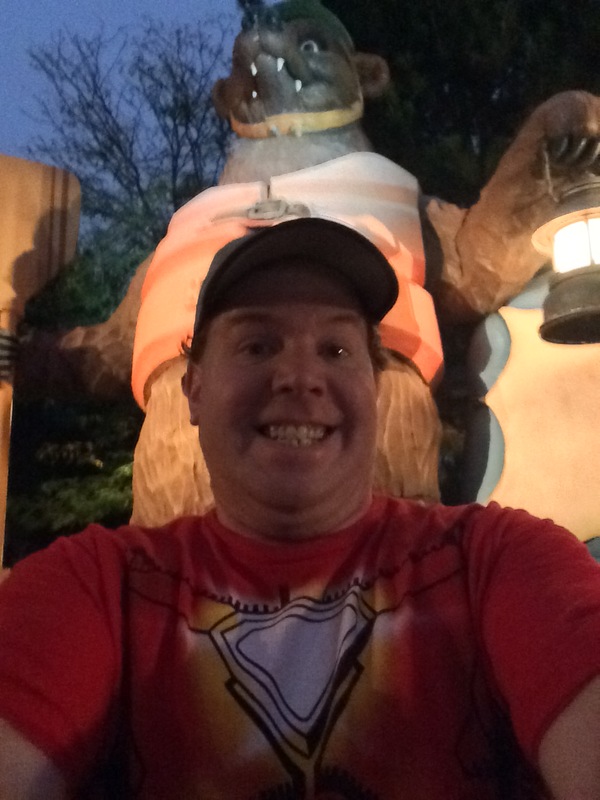 Just as I got through with the selfie, I noticed that there was a rather short line for a pic with Br’er Bear from Song of the South. So, since this race was for fun, I had to stop! From there, it was time to make my way up Main Street U.S.A.! 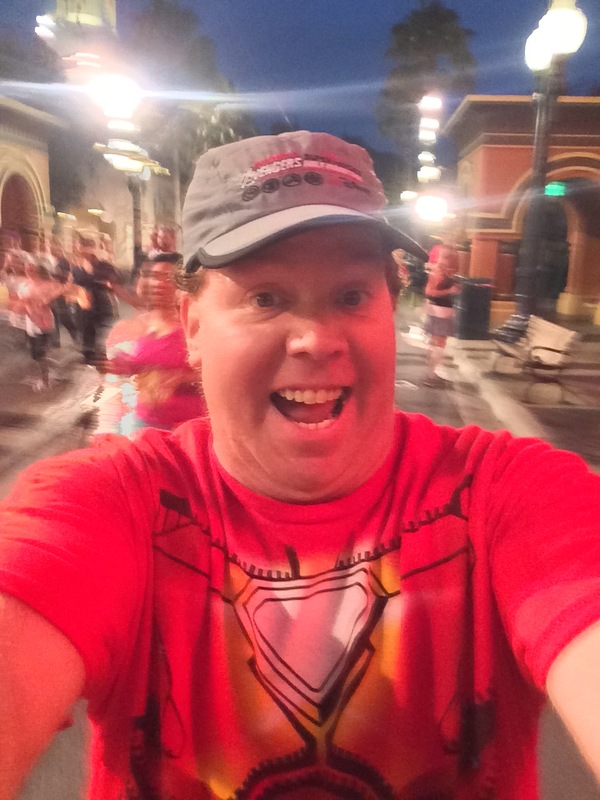 PhotoPass got this great shot of me running up Main Street U.S.A.! I was just as happy as I looked in the picture. This race was just so much fun! 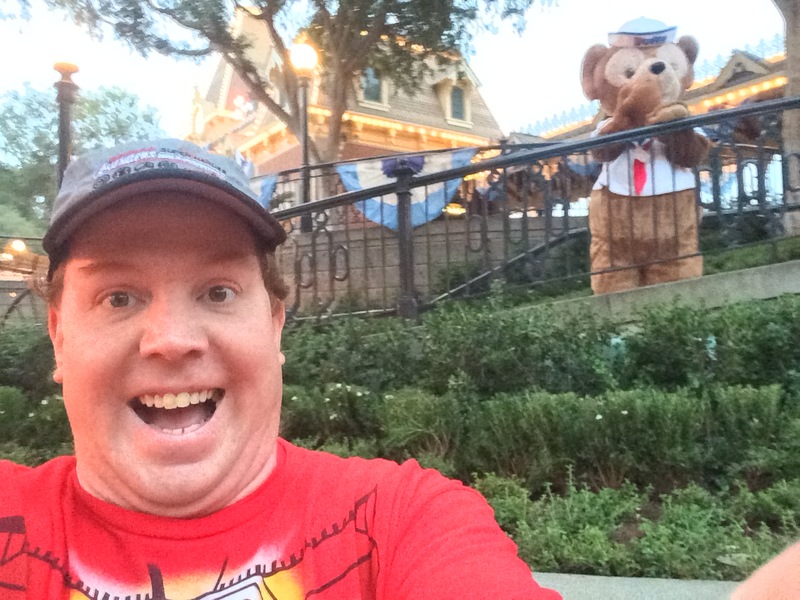 On the way out of Disneyland, I stopped for a quick selfie with Duffy! He was roaming the Main Street Train Station! Sadly, it was time to leave the park and head up Downtown Disney toward the finish line. These 5K’s go by too quickly. 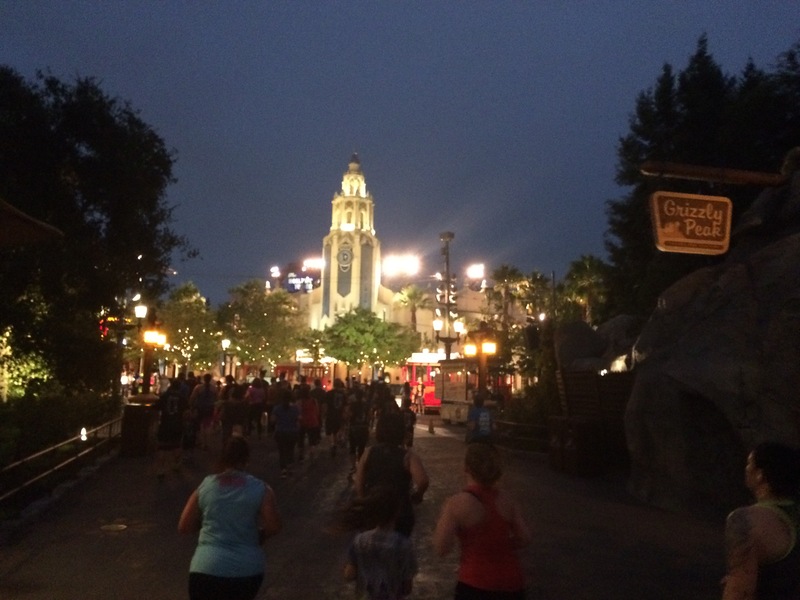 Once I got to Downtown Disney, I decided to get back to running intervals for the rest of the race. Running up Downtown Disney is fun because there are always lots of spectators and nothing to really get photos of. So, it’s a perfect way to finish strong. Once I got to the 3 mile marker, I decided to see if I could just run out the final 0.1 miles. The result??? I did! It was a fun way to finish the 5K! My finish time was probably the slowest 5K time I’ve ever had. None of it mattered. This race was all about fun! So, there you go folks! 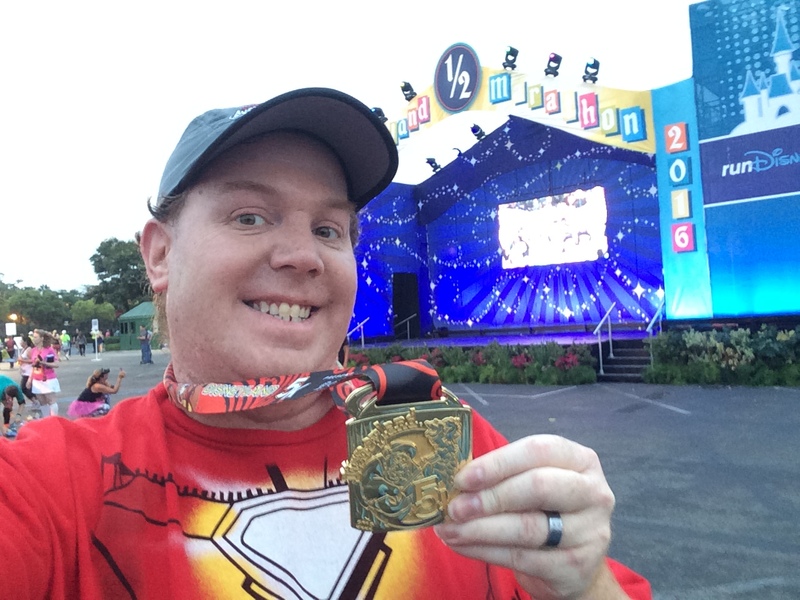 My 3rd runDisney 5K is in the books. So, here are the splits for this race. As you can see, mile 1 was the mile where we spent the least time in the theme parks. After that, I pretty much took my time and had fun. I also wanted to share this. Talk about a flat course. Look at this elevation chart. I don’t a race could be any flatter if it tried. Final thoughts about this race…. Overall, this was a totally fun race to run. 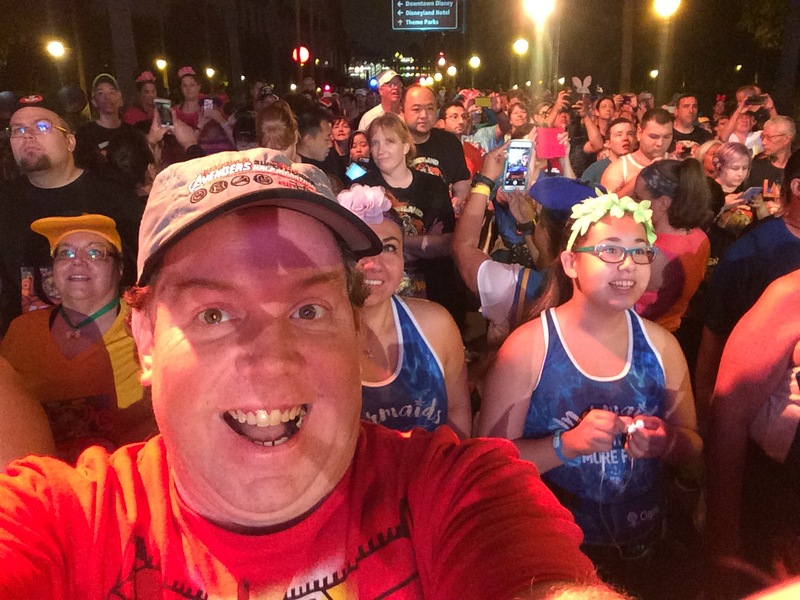 I’ve forgotten how fun the runDisney 5K races are. I did skip a couple character stops on the course. For a 5K, I thought there was an alright amount of character photo ops. 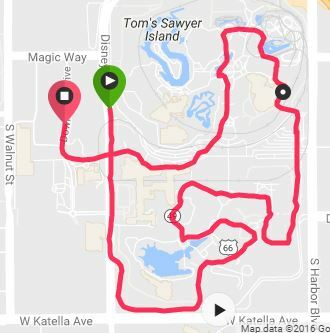 Honestly, I don’t know how many more spots they could have had in a 5K course. The characters they had were totally on point with the theme of the race. It would have been cool if they had Winnie the Pooh instead of Duffy on the course. However, no race is perfect. 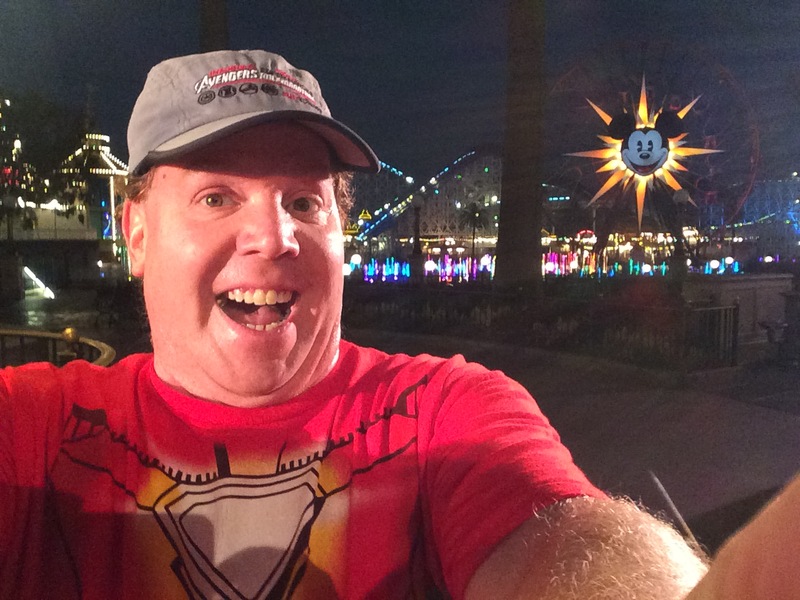 Kudos to runDisney for using the PhotoPass photographers. While I was on the course, I had no idea how any pictures would come out (or if I’d even be in any). After getting home and seeing the photos, I have a much different impression. 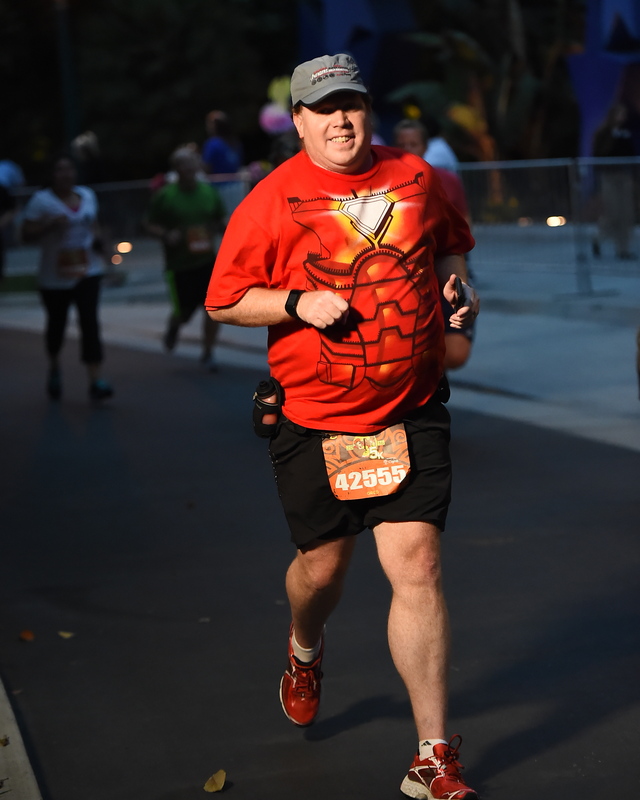 Now, I wasn’t as happy with the photos from the Disneyland 10K. But, I’ll save my thoughts on that for the 10K recap. No Rudy as race MC – It’s not that the race announcers they had were bad. They just weren’t as good as Rudy. Lots of us runners were talking about this. 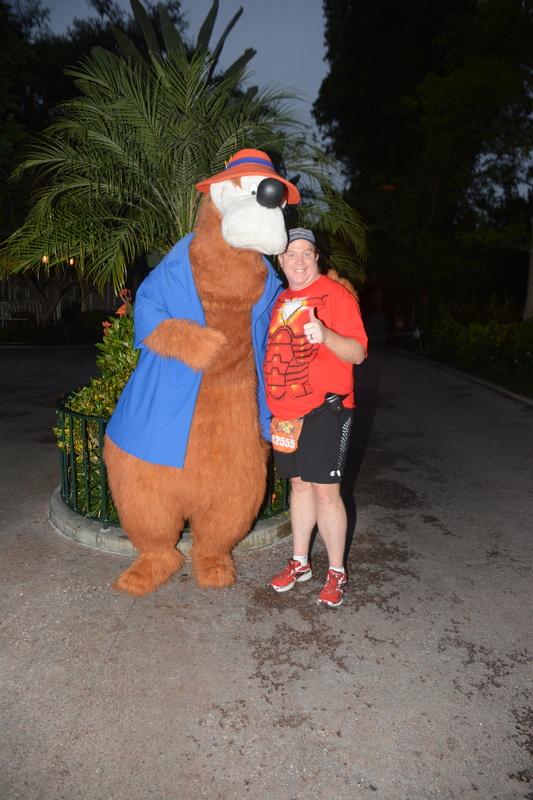 Hopefully, runDisney will bring him back in 2017. The theme of the Country Bear Jamboree was odd – Disneyland hasn’t had the Country Bear Jamboree in over a decade. 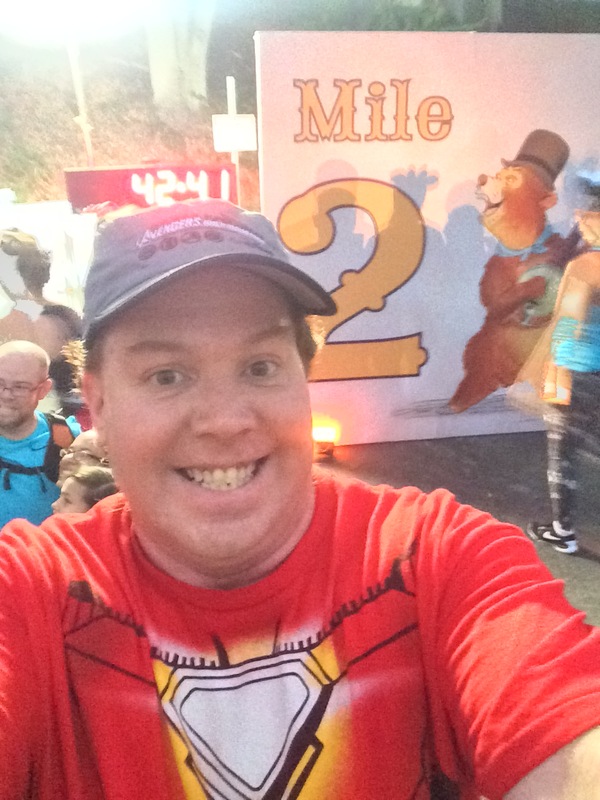 So, it was rather odd to choose this as a theme for a Disneyland runDisney race. It would make more sense at Walt Disney World. In the corrals, some of us talked about this. We wondered how many people didn’t even know that Disneyland had the Country Bears at one time. Would I do this race again? Absolutely. However, it is not a “must do” race for me. I’d probably rather do the Dumbo Double Dare than the 5K. However, it’s too cost prohibitive for me to do the 5K, plus he challenge. Now, if a friend wanted to run the race with me, I’d totally be up for it! 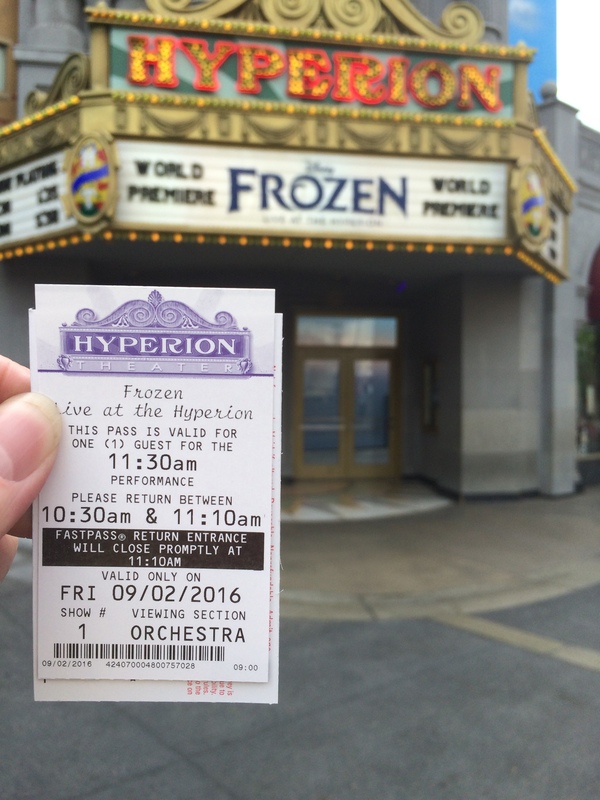 After getting cleaned up, after the race, I headed over to DCA to grab a FastPass for the new Frozen show at the Hyperion Theater. I must say that I was really impress with how calm the process of getting the FastPass was! 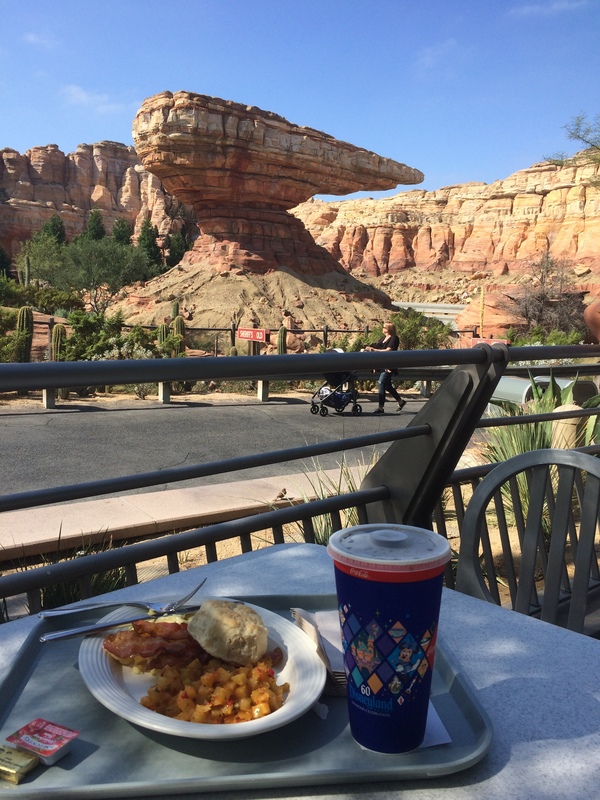 After getting the FastPass, I headed to Flo’s V-8 Cafe for breakfast with a view! I also had time to fit in some Toy Story Midway Mania! 15 minute wait? Yes, please! 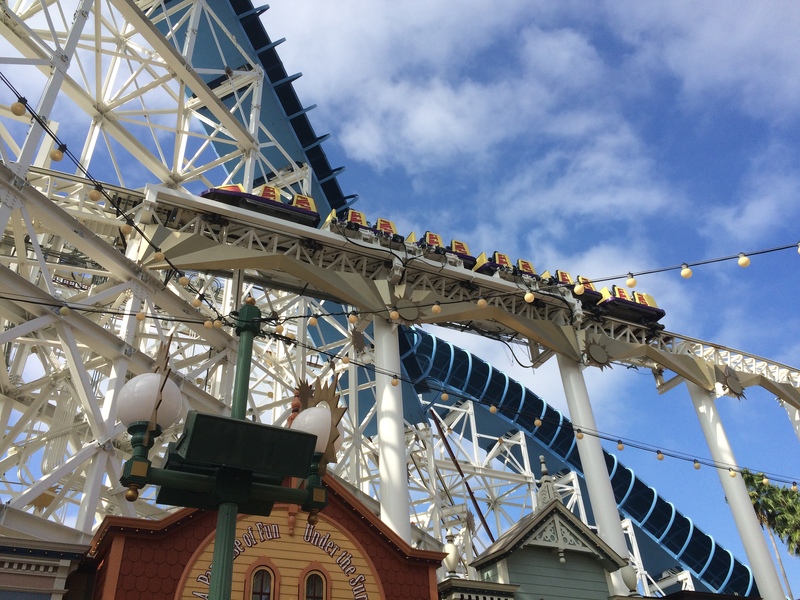 While I was in line, I saw an evacuation of Screamin’. I’ve never seen that before! 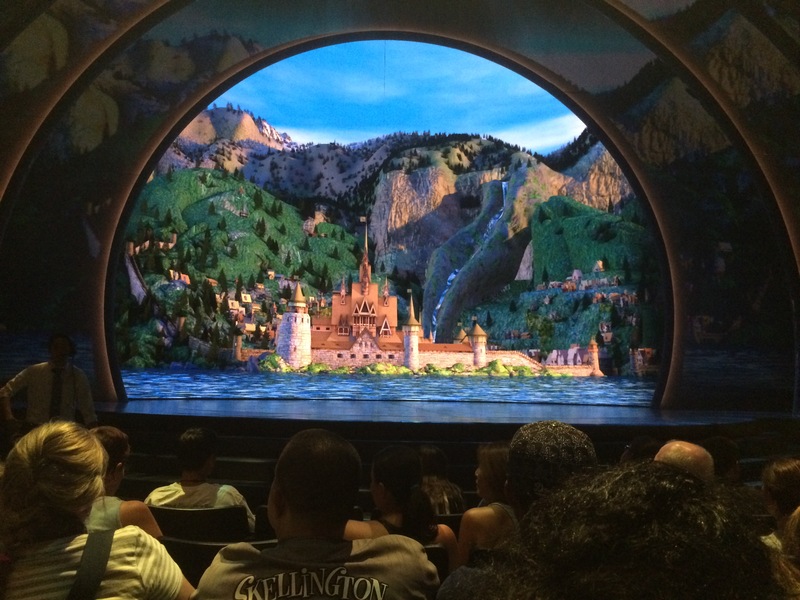 Then, it was finally time to head to the Hyperion Theater for a viewing of Frozen. 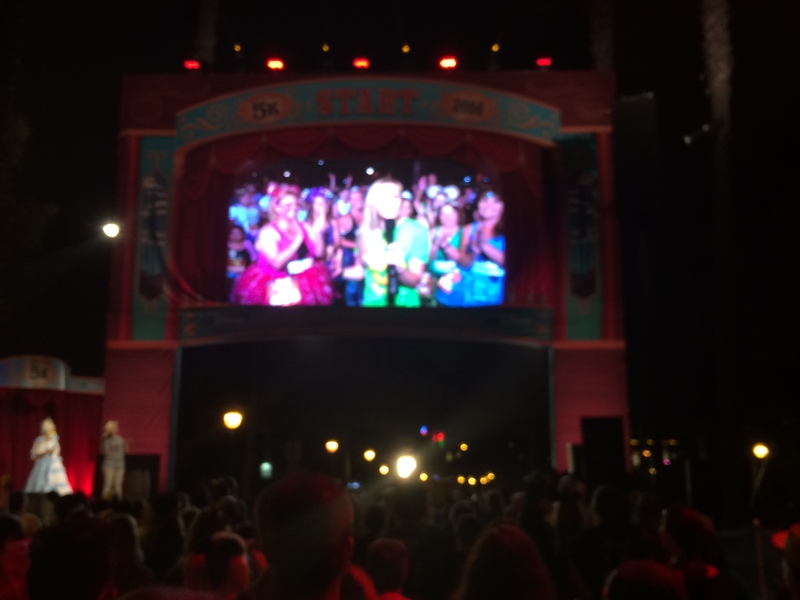 The show itself is long for a theme park show. It tells most of the movie. I loved the effects in the show! For me, Anna stole the show. She was the best part of the cast for me. The one bummer is that there was a technical problem in the show that caused a 10 minute delay. 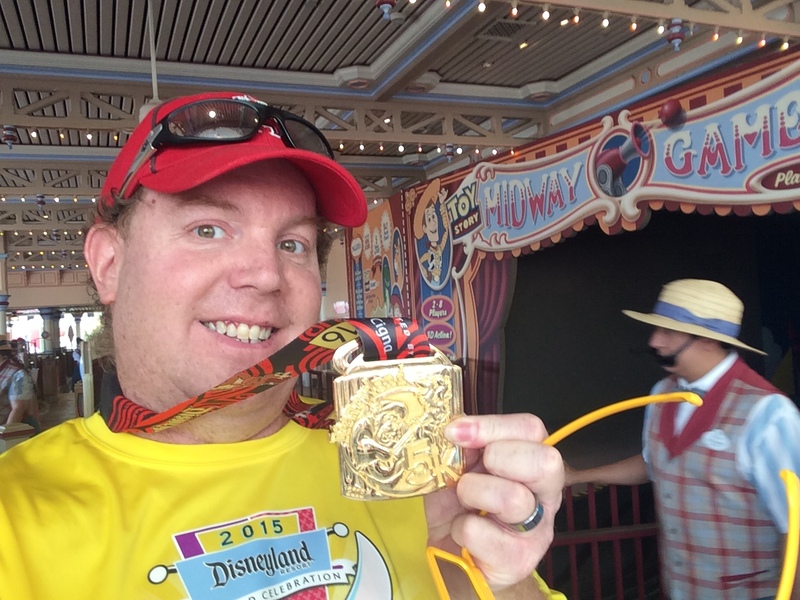 With that, my Disneyland 5K day at the parks came to an end. I was supposed to go to a Cigna Bogger event. 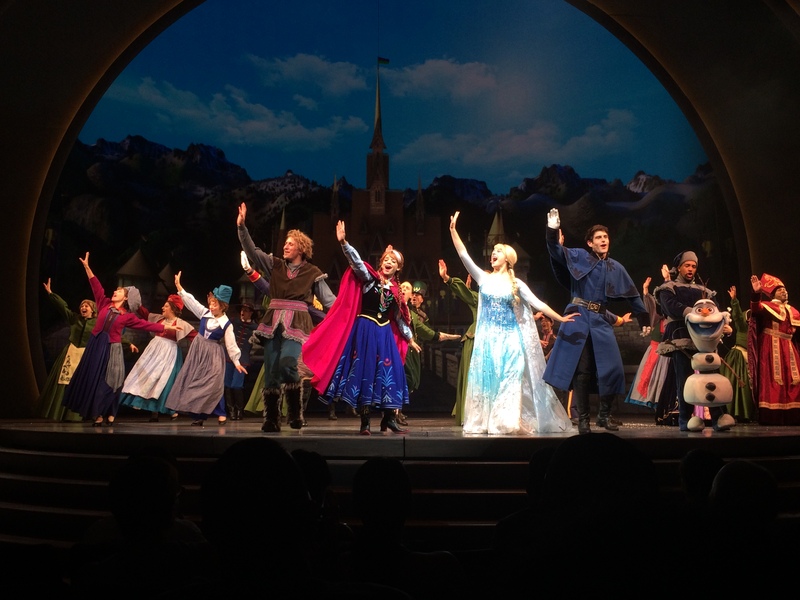 However, the 10 minute delay in the Frozen show caused me to be too late. So, I headed home instead. 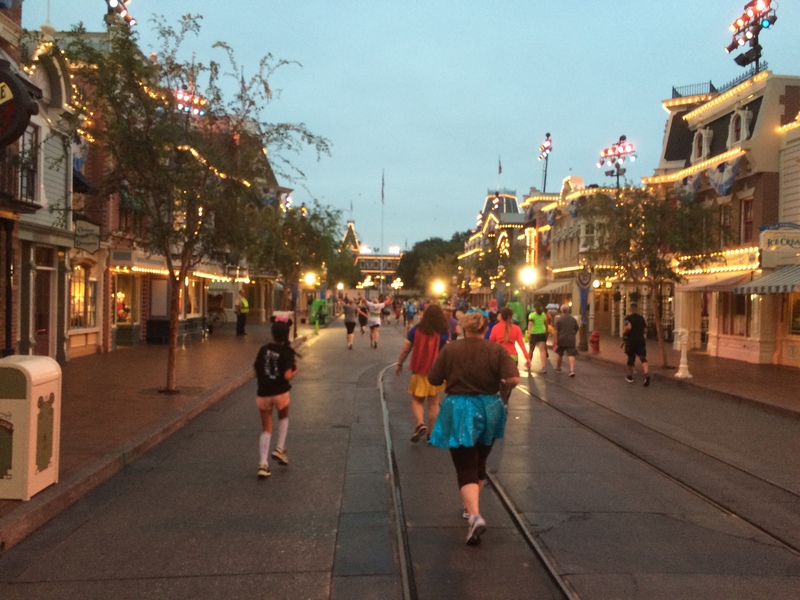 The Disneyland 10K day would be a full one. So, I wanted to get home and get some rest…oh, and also to spend some time with my boy!